Spark Northwest partnered with the Jefferson Local Development Corporation in Whitehall, MT to investigate the feasibility of a locally-owned community-scale wind project. Due to an impending gold mine closure (and loss of a major employer) the local community actively pursued economic development and employment opportunities through wind development. 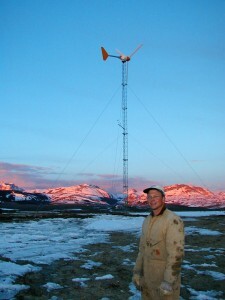 Part of their pursuit included investigating a community wind project at the gold mine site. Our team conducted research, analysis, meetings and a site visit to determine the potential for developing a 1-3MW wind project at the gold mine. Based on the research, a technical report was prepared detailing the status of each project phase with a heavy emphasis on financing scenarios. The report also includes a roadmap of tasks that need to be initiated within the next six months to move the project beyond concept. Our Wind Cooperative is a unique cooperative of small-scale (10kW) wind turbines on farms, ranches and public and private facilities in Washington and Montana. The project consists of ten 10kW turbines that have collectively generated over 450,000 kWh within the first three years. Spark Northwest launched and managed the Our Wind Cooperative by providing comprehensive project management services. Learn more about the cooperative here.